With festivals coming up, we love to get our boho on. The folk trend is back again, and we can't get enough of it! 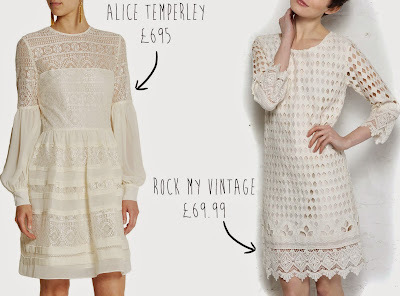 We adore Alice Temperley, so we're head over heels for this crochet flapper dress which oozes laid back luxe. Whether you rock it with tan wedges, some strappy sandals or even your wellies, this effortlessly cool cream dress is highly coveted this season, and at a fraction of the cost it means you can save some pennies for extra candy floss (or beer!) at Glastonbury. Or favourite thing about summer is preparing for upcoming weddings! Whether you're the mother of the bride, maid of honour, a guest, or even a bride yourself, Rock My Vintage has something for you. 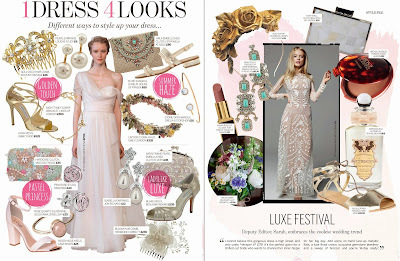 For a vintage inspired wedding, the best way to complete the look is with your accessories. We've pulled together a collection of wedding guest dresses and bridesmaid outfits to inspire your wedding style - you're welcome! 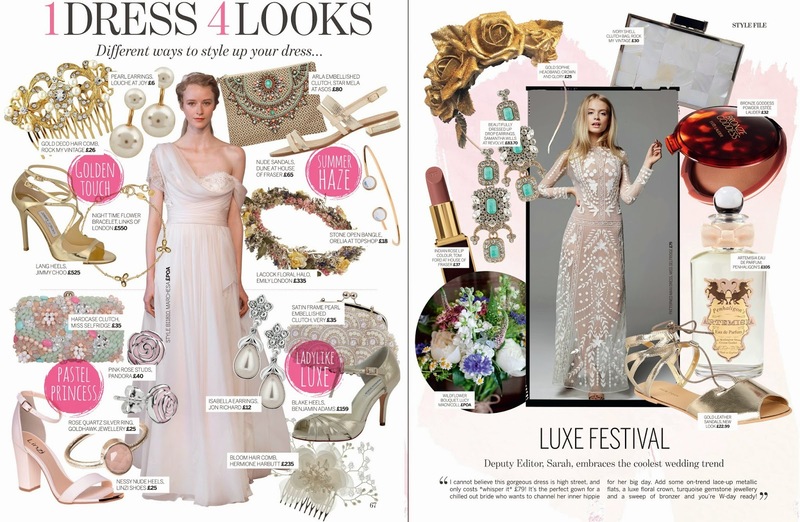 What's better, if you pick up this month's Perfect Wedding Magazine you'll find our 1920s inspired gold deco hair comb and our ivory shell clutch bag features amongst their gorgeous edits. Feeling inspired? Check out the full collection on Rock My Vintage for some bridal bliss!